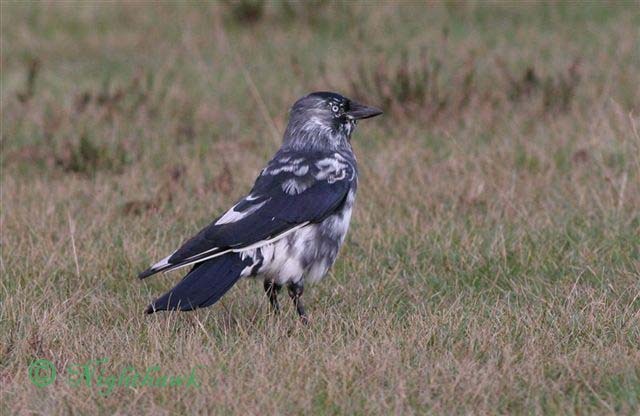 Abnormalities can be found in all life forms–corvids included. Here are some interesting photos I found of corvids with two abnormalities deformed beaks and partial albino-ism–leucistic or albino corvids. Read about THE MYSTERY OF THE LONG-BEAK SYNDROME here. Or you can read Passerines with Deformed Bills by Julie A. Craves (an article) here. There seems to be a high concentration of birds with deformed beaks in the Pacific Northwest–I wonder why. The corvid family is big. I have to start somewhere in these posts so I have randomly chosen the Plush-crested Jay, Cyanocorax chrysops. It is a magnificent bird—so beautiful and brilliant colors. I saw this photograph and it enticed me to pick it! How could I resist such a pretty bird? It lives in the central-southern part of South America: Brazil, Bolivia, Paraguay, Uruguay and northeastern Argentina. The Plush-crested Jay normally live in groups of up to 10 or 12 others. They also are found accompanying the Purplish Jay to feed. The Plush-crested Jay forages actively, hopping and peering about on branches and in foliage. They have a very loud and arresting call, which serves to draw attention to them. Like many corvids the Plush-crested Jay can also mimic other birds and are very sociable. Unlike crows, they are not shy at all.